I was ridiculously excited and very honoured to be asked by Katy at Apartment Apothecary to write a guest post for her amazing and inspirational blog. 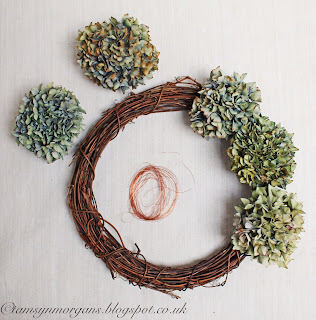 We decided that a dried hydrangea wreath would make a fab tutorial and I’m delighted to share it with you today! Please do hop over and take a look! Edit : This tutorial is no longer available on Katy’s blog, give me a shout if you would like me to dig it out from the depths of my digital files! I just popped over to see your guest post – it's absolutely beautiful! 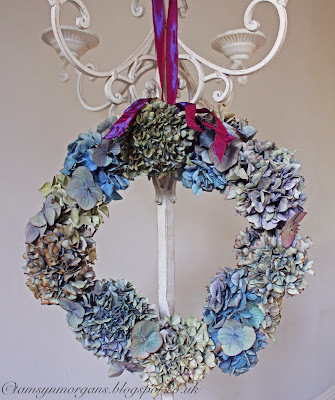 I adore dried (and fresh) hydrangeas, and what a lovely way to make use of them. I usually have them stashed in vases, but this wreath is divine. An inspiration as usual – well done!